Yas Marina Circuit, Abu Dhabi, UAE 8 May, 2018: Yas Marina Circuit and FLASH Entertainment have today revealed the next global music superstars to perform at this year’s Yasalam After-Race Concert as part of the FORMULA 1 2018 ETIHAD AIRWAYS ABU DHABI GRAND PRIX weekend. American rock legends Guns N’ Roses will headline the Yasalam After-Race Concert at the du Arena, Yas Island, on Sunday 25 November. One of rock music’s greatest ever bands, the addition of Guns N’ Roses is sure to be a huge hit with the crowds of race-goers who travel to the Abu Dhabi Grand Prix from more than 170 countries worldwide. 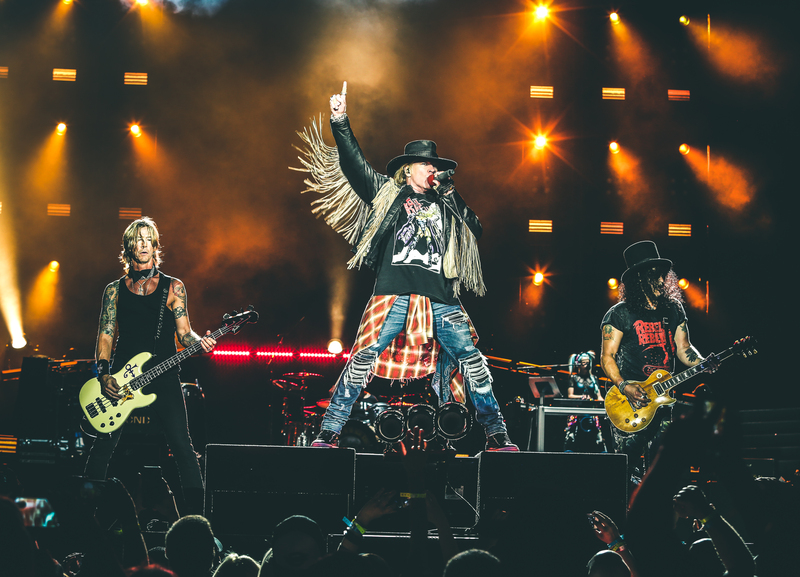 Axl Rose’s distinctive vocals, Slash’s splendid guitar riffs and Duff McKagan on bass remain at the core of the Guns N’ Roses sound which will fill the du Arena on Sunday 25 November. 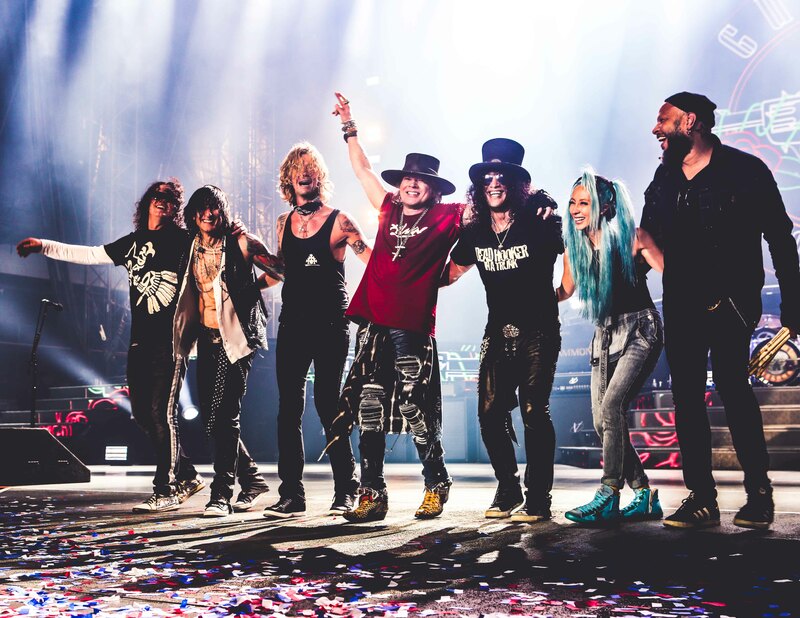 Guns N’ Roses, who have sold more than 100 million records worldwide, have been performing to sold out stadiums around the globe in recent years, which means fans who travel to the du Arena can expect to see an amazing performance by the legendary rock act. There is also the option of the new one-day Friday Paddock Club or Club at Trackside Terrace Friday brunch, providing access to The Weeknd After–Race Concert plus the Thursday After-Race Concert. Ticket holders can take their weekend up a gear by purchasing ‘Golden Circle’ upgrade tickets for the Yasalam After-Race Concerts. The upgrade packages offer the best access to After-Race Concerts and are available to buy from AED 195 at www.yasmarinacircuit.com. There’s just a few weeks left to buy ‘Early Bird’ tickets for the Abu Dhabi Grand Prix at a special 30 per cent discounted price. Offering great value to race fans, ‘Early Bird’ tickets will be available until 31 May. Al Tareq Al Ameri, CEO of Yas Marina Circuit, said: “Guns N’ Roses are one of the biggest groups in music and reinforces our four-day proposition of on-track, off-track and after-race entertainment. We are thrilled to announce that the original line-up of the band will be headlining the Sunday night show at this year’s Yasalam After-Race Concerts as part of the 2018 Abu Dhabi Grand Prix race weekend. Tickets are available online at www.yasmarinacircuit.com and through the Yas Marina Circuit Call Centre (800 927) or +971 (0) 2 659 9800, as well as through all Etihad Shops and Virgin Megastores, Yas Central Express stand at Yas Mall.